Are you thinking about putting in a new patio in your backyard? Do you want to stick to something that’s a little bit easier to build as a DIY project for beginners? Do you like the look of gravel patios in more rustic backyards? MIGHTY109 GREYS Garden and landscape pea gravel 3/8" x 1/4"
Last update on 2019-04-21 at 11:49 Product prices and availability are accurate as of the date/time indicated and are subject to change. Any price and availability information displayed on [relevant Amazon Site(s), as applicable] at the time of purchase will apply to the purchase of this product. If any of this sounds true of you, then you’re in the right place! In this article, we’ll walk you through everything you need to know about how to lay a gravel patio. The process is a simple one, so whether you have experience with this type of project or not, you’re sure to be able to complete this task and have the patio of your dreams in your yard in no time. But is it easy to find gravel patio ideas on a budget​? And is gravel really a good idea for a patio anyway? It’s not too hard to find gravel patio ideas at all, really, and most of them are very budget-friendly. This is one of the most affordable materials you can use to build your patio, and it’s a great option, too. Gravel does take a little more maintenance and upkeep than some other materials, but it looks great and lasts a long time. If you’re looking for an affordable patio option that will hold up well to years of use, then be sure to read on and learn how to put in a gravel patio right away! Begin by deciding where you want to put your gravel patio. You can use your stakes and ropes to section this area off, or you can spray paint the grass. You might want to do both in order to be sure you get the right amount of space and have everything even. Note: For best results, use a 2x4 or another piece of straight lumber to help you keep your lines straight and even on all sides of your patio. From there, use a shovel to dig up any plants or tougher grass and topsoil that might be in the way of your patio. You should dig down about three inches of depth from the rest of the yard to give yourself plenty of room to work with for laying your gravel. Use your rake to smooth out the exposed soil. Since you’re laying gravel, it won’t be as necessary to have a perfectly leveled and tamped down patio space as it would with a poured concrete patio. However, you still want to make sure it’s as even as possible. Unroll your garden felt and cut it as needed with scissors until it is the right size and shape to fit within the dimensions of your patio space. Use a hammer and landscaping staples to secure the fabric into place. This will help prevent mold and water buildup without damaging your yard or causing harm to the environment. Spread the gravel out over the patio space. You should spread it to the full three inch depth that you dug out earlier in the process. Use a rake, shovel, or a piece of scrap lumber to spread out the gravel until it is even and packed down well. You may need assistance to dump and spread the gravel, since it will be very heavy. Congratulations! You have just finished laying your gravel patio. Are you ready to get out there and start building your gravel patio right away? If so, you might want to check out a few great products we know of that can help make this DIY project go even more smoothly. MIGHTY 109 Pea Gravel: Are you looking for something a little more durable and in shades of gray instead of brown? If so, this product may be the better option for your needs. This is a 160 gallon package of gravel that is affordable and long-lasting. It looks great on patios as well as in pots, and it offers lots of drainage no matter where you choose to use it. This is one of the most aesthetically pleasing options on our list, and it’s sure to bring a lot of style and sophistication to your gravel patio in no time as well. 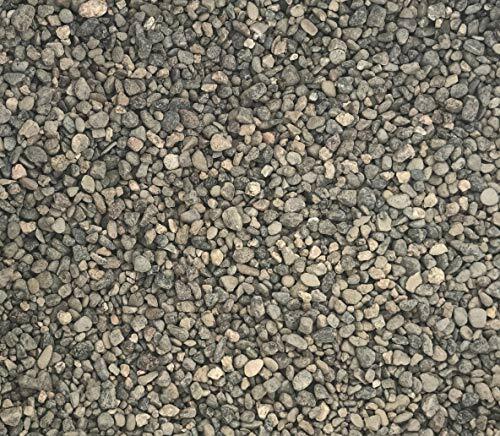 Pea Gravel 0.5 Cf: If you prefer to lay a gravel patio that’s a bit darker brown than the other two options on our list, be sure to check out this product instead. This is a beautiful color of pea gravel that comes in a 0.5 cubic foot bag. It’s very durable, drains well, and is long-lasting, but it does come in at well over the price of the other two options on our list. You get a lot in terms of appearance and durability, but this gravel may be well over budget for some buyers, so be sure you can fit it into your own budget before you purchase. 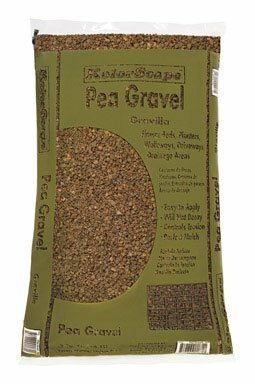 Oldcastle Kolorscape Pea Grave: This gravel is available in a 0.5 cubic feet bag and comes in a nice brown-gray shade that matches most backyard setups very well. It’s an affordable and low-cost stone gravel that spreads easily and offers plenty of drainage for your yard. However, it is a little bit lower quality than some of the others we have recommended here, and it may need to be replaced or maintained a little bit more often than these other items in some situations. In the end, if you go with any of these great products, you’re sure to love the end results. These are all very beautiful types of pea gravel that are excellent for use as patio coverings. It’s all about your budget as well as the aesthetic you’re going for with your patio, so take your time and consider your options to help you find the right fit for your needs. And remember that, no matter which type of gravel you choose, you’re going to need to keep up with cleaning, maintenance, and repairs to keep your patio looking great for as long as possible.